The evolution of social media has made it easier than ever to access news at the touch of a button. And as Katie Bowler put it, it’s a “good way to increase community engagement,” but it has also made it harder than ever for journalists to do their job. 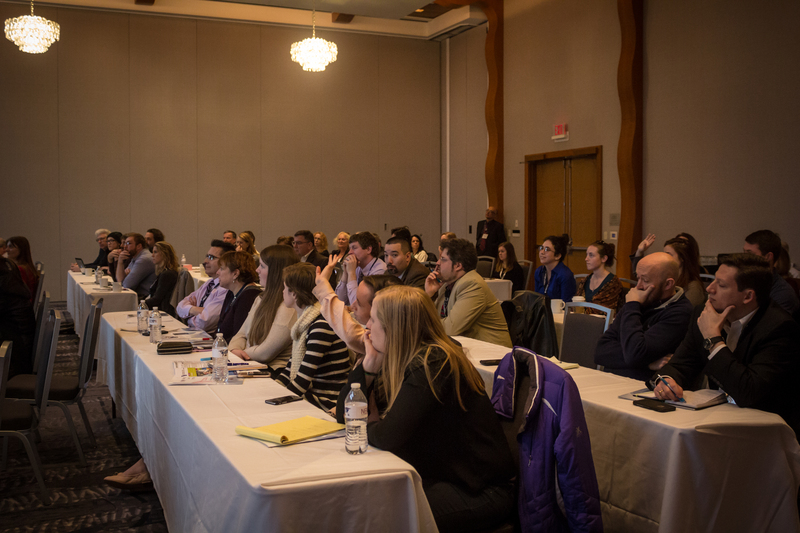 Bowler was a panelist at a session titled “Social media strategies for small media organizations” at the New England Newspaper and Press Association’s recent winter convention. BJ Roche, a journalism professor at the University of Massachusetts-Amherst, was on the panel with Bowler, a reporter at the Somerville (Mass.) Reporter, and three other young reporters, Aviva Luttrell, a reporter at MassLive.com, the online news site of The Republican of Springfield, Mass. ; Serena McMahon, social media coordinator and a news writer at The Massachusetts Daily Collegian, the student newspaper at UMass-Amherst; and Faith Gregory, newsletter editor and a writer at the Amherst Wire, an online student magazine at UMass-Amherst, and Amherst Live, a live online magazine show. 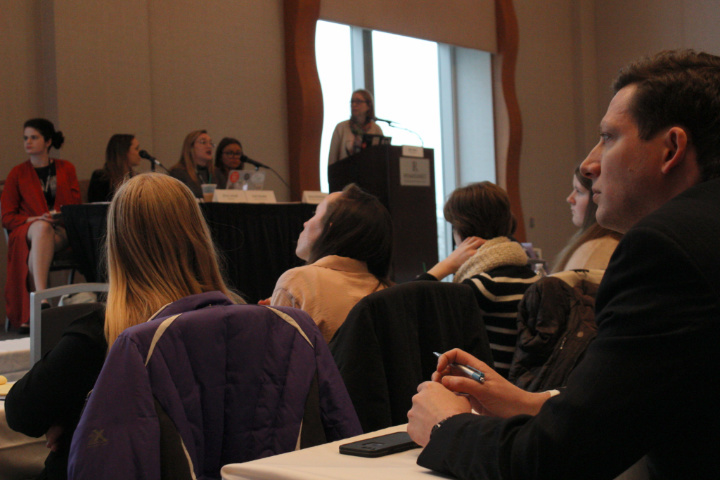 The panel shared tips and tools to use Facebook, Twitter and Instagram to a news organization’s advantage. She also suggested that journalists “join groups in the community to follow what people are interested in.” That’s a good way to get story ideas and to become Facebook friends with people in the community, Luttrell said. But she cautioned journalists to avoid being biased or one-sided on Facebook. Roche said it’s good to have more than one person working on Facebook Live’s live streaming at a time; have someone handling the camera and someone responding to the comments as they are made. When you are showing a live stream, it is also good to have your branding somewhere on the screen to increase brand awareness. Gregory said hashtags can be fun to use on Instagram and Twitter, but because of the many possible combinations that could make up a hashtag, it’s important to “have a tag style guide at your newspaper, and make it completely consistent” in using the most popular form of the hashtag to get the most social media attention possible and to keep all related posts under the same hashtag. She suggested that in creating a caption, only put the lead of the story in the caption rather than a long summary. She said horizontal photos look better on Twitter. McMahon said “NPR does a good job of using photos with their tweets,” and recommended visiting its account for examples. She said it is important to schedule weekend tweets to keep your audience up to date when they have the most free time. More social media tips from the panelists are available here. More than 50 people attended the discussion Saturday, Feb. 24, in the Renaissance Boston Waterfront Hotel in South Boston. View of the social media panel from the perspective of the audience.